Wet Rotor Circulators are equipped with 3-speed motors. 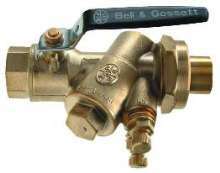 Bypass Valve controls excess flow in hydronic systems. Air Separator comes in wide range of sizes. Wet Rotor Circulators feature 3-speed design. Suited for residential and light commercial heating systems, Models NRF-36 and NRF-45 are equipped with 3-speed motors, which allow pumps to cover wide range of hydraulic capabilities. Units include DuraGlide(TM) Bearing System, heat-resistant and non-metallic closed impeller, and self-cleaning particle shield. 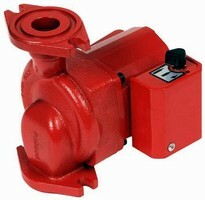 Split Case, Centrifugal Pumps are suited for HVAC industry. 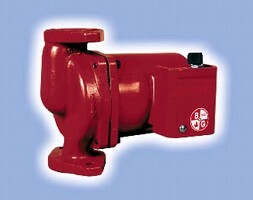 Automatic Flow Limiting Valve adjusts hydronic HVAC systems.